Tonight on CBS Hawaii Five-0 returns with an all new Friday October 10, season 5 episode 3 called, “Kanalu Hope Loa.” On tonight’s episode Five-0 investigates when three female thieves unknowingly steal something during a tour bus robbery that makes them a serious target. On the last episode, Five-0 investigated when the young daughter of a Navy Seal currently on a top-secret mission was kidnapped. Meanwhile, with his brother’s life on the line, Danny had to locate the $18.5 million he owed his captors. Did you watch the last episode? If you missed it, we have a full and detailed recap right here for you. On tonight’s episode Five-0 investigates when three female thieves unknowingly steal something during a tour bus robbery that makes them a serious target. Meanwhile, Danny searches for his brother’s hidden millions in order to exchange it for his life. On tonight’s episode of Hawaii Five-O, daylight robbery accidently turned into murder when one of the victims tried to fight off a trio of gun wielding thieves. This particular merry band of women have made a name of themselves as careful thieves holding up tourist busses around the city. They never hit the same tour bus twice and they’ve always changed up their times and costumes. However they’ve also never injured someone prior to this recent incident and newbie Dr. Shaw believes the victim that died was purposely targeted. So what turned a group of more or less harmless thieves into killers? Everyone on the bus along with victim that day was prepared to hand over their wallets. Except for the victim, Wagner. He fought back for some reason. Almost like he had something too important to lose. And what do you know the ladies were looking for something special at the exact same time Wagner, an IT magnate, decided to take a tour. Seeing as it would be too much of coincidence that these robbers just happened to have left their x-ray glasses behind at the scene – it’s safe to say Shaw was right and Wagner was targeted. Even his concerned “wife” didn’t quite fit the picture. A woman claiming to be Mrs. Wagner kept asking to see her husband’s body so Shaw allowed the other woman a moment alone. But she noticed something was of when she came back. There was a new blue print on their victim’s thumb. As if someone wanted a copy of his finger print. As for Wagner, not only did he make a lot of money with his IT company but he also has access to his billionaire clients’ money. So the team thinks a much larger robbery is about to occur and timing is critical. Hence they sent in Kono. All she needed was a bikini and soon she was able to find the original three women they were looking for at the beach. It seems after they were done stealing from people – they chose to relax by hitting the waves. Kono though was only able to bring one person in and according to her the fake Mrs. Wagner wasn’t with them. Apparently that woman is running her own con. Wagner had a thumb print scanner on his phone and one band of thieves stole the phone and another stole his finger print. No one can do a thing with what they have alone but if they put it together then they can get their greedy little hands on money that would set them up for life. So while the bikini suffers were actually just dumb thieves looking for ways to maintain a lackadaisical surfer’s life – there is a notorious con woman whose real name is Vanessa Hansen and she’s looking for the surfers as well. Only in her case she’s ok with killing to get what she wants. Fearing for her friends, the surfer they had in custody gave up the hideout to the police. And the police got to the house seconds after Vanessa and her hired gun had already arrived. The police got to all of them and manage to put them in custody. But before they did, they wanted to hear from Vanessa why she was willing to go through all of this. And, yes, her answer was mercenary yet Wagner was also a tad naive. It seems he had direct access to bank’s firewall on his phone and thought he could simply keep something like that safe with a mere thumb print. 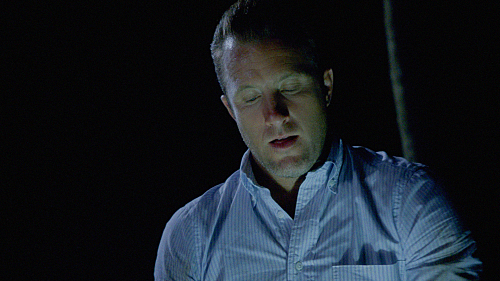 With the case closed, Danny turned his focus into freeing his brother. The guy his brother had stolen from is demanding his money back and though Danny at first tried to fight him – his concern for his brother surpassed his natural nervousness in dealing with a crook. So Danny figured out the puzzle his brother had left behind for him and he found the money. But now that it’s in his hands – will he honestly give nearly 20 million dollars back to a guy that threatened him and his family? As for Jerry, he hasn’t been able to let go of the counterfeit case he’s been looking into and despite Steve warning him – he’s upped the ante by moving away from stalking and now planting listening devices!